Let me just start by saying the best thing that could have ever happened to us was meeting Paul and Gloria Yeatman at the International Living conference in San Jose last year. We just came back home to the States after another two week adventure. It was a dual purpose trip. We came to check out the San Ramon area as a retirement haven as well as take care of some medical issues. We could not have accomplished as much as we did without the kindness of Paul and Gloria to start the ball rolling for us. They lined us up with a hotel, doctors, and of course tours. We do not feel they only see things through rose colored glasses. To put it simply, they really are just honest and gracious hosts whose love of Costa Rica and the Tico lifestyle just radiates from them. On our first day, Paul gave us a tour of San Ramon so we would be familiar with where we needed to go to take care of business. We ate lunch at “Paul’s famous $1.00 lunch spot.” The food was tasty and the price was right. Can’t beat that! The whole town is only 14 square blocks so everything is within foot range. NO CAR REQUIRED – a big plus in our book! We also stopped by their friend, John’s, place and were entertained by his little buddy Scrappy. Next stop was the cabinas where we met Caesar (“best landlord in the whole country”) and Realtor Frank, who was only too happy to offer his assistance in finding us a nice little rental niche to plant roots. The second tour was a little farther up in the mountains above the cloud forest to the beautiful little town of Zarcero, also known as “little Switzerland”, with its delightful animal shaped topiary garden in front of a gorgeous newly restored old church. There we met expats Tom and Marsha and had a nice visit at their home. Gloria also treated us to one of her gourmet dinners one evening: Mediterranean style pasta, salad, homemade bread and key lime pie for dessert. Yum! Yum! We met yet another expat couple, Dean and Randi, along with Paul, the “monkey man,” next door. John also joined us for dinner, and a good time was had by all. It turns out Dean and Randi used to be involved in road racing back in the US the same as my husband and I. Need I say, we hit it off instantly. Now as for the medical side of things, we were very impressed. 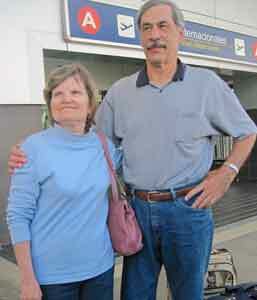 We had absolutely no qualms about seeing doctors in a foreign country, and we totally trusted Paul and Gloria’s recommendations. Living on Social Security, we can no longer afford health care in the US. We first saw Dra. 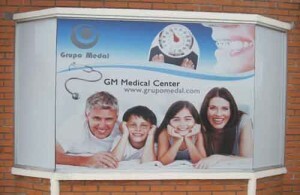 Maria Hernandez, general practitioner at Grupo Medal, and met her husband Johann who runs the business end. Dra. Hernandez was very accommodating. She made it a point to see us at 7:00 a.m. due to a medical commitment in San Jose where she spent the rest of the day. She examined both of us and spent an hour of her time discussing our issues and charged us a mere $60.00 with three FREE follow-up visits – unheard of back in the US! She changed my husband’s sleep medicine which has made quite an improvement, and she also referred him to a local gastroenterologist for further evaluation of stomach problems. When we left, she gave us a reassuring hug and kiss on the cheek and we reciprocated. Dr. Sergio, the gastroenterologist, performed a gastroscopy and colonoscopy with three biopsies for a grand total of $560.00 including a FREE follow-up consultation – again unheard of in the US! It would have cost us at least four times as much here. Dr. Sergio’s office is new and immaculate with the latest state-of-the-art equipment. I watched both procedures on a flat screen TV, no different than here in the US. The biggest and most important difference is that these doctors have a genuine concern for their patients and will take time to listen. Dr. Sergio reassured us several times to go back home and not worry. Everything has been taken care of. That is peace of mind! We will not hesitate to use either one of these doctors again. Oh yes, Dr. Sergio and I both have family in Toronto and he is a big Bluejays fan. Our nephew is a pitcher for the team. That just raised the comfort level up a notch. Once again, Paul and Gloria were generous enough to pick us up at the hotel and take us to the clinic and sit with me during the procedures. Afterwards we all celebrated with breakfast at Aroma Cafe. Our stay at the La Posada Hotel was excellent as well. Jaime (owner) and his staff went out of their way to make us feel welcome, all the way from his daughters serving breakfast to the cleaning crew. The room was very clean, with beautiful locally-hand-carved wood furnishings and modern fixtures in the bathroom. Since we had an extended stay for medical reasons, they even offered us free laundry service and a discounted room rate for the second week. At $60.00 per night, it was a bargain. We highly recommend it for anyone heading that way. Miriam at the front desk is such a sweetheart. She could not do enough for us. Not a day went by that we did not stop by and chat with her. If we were tired from our daily trekking around town, she would call and order dinner for us, and a friendlyTico on a motorbike would deliver it shortly thereafter. She was a great wealth of information about the area being a Tico herself. She also lived in the US for a few years and knows exactly where we are coming from. It didn’t take her long to realize that Tico life is the good life. Costa Rica is our kind of place. The people are laid back and it doesn’t take a lot to make them happy. We can’t wait to get back there. All in all, this whole trip and the Tico culture immersion was a very positive experience for us. Period. Paul and Gloria helped us find exactly what we were looking for and more. We can’t thank them enough for everything they have done, and I am sure we will be expat friends for life. Thanks for the wonderful and informative tour of San Ramon and surrounding area. You and Gloria went out of your way to make us feel welcome and at ease. We learned a great deal from you. Sally, the retired Air Force, surgical nurse, and one time head of infection control at one of our large military hospitals in Germany, who was travelling with us was very impressed with the medical facilities. Thanks again for the tour and the opportunity to meet other ex-pats and Ticos in the San Ramon area. 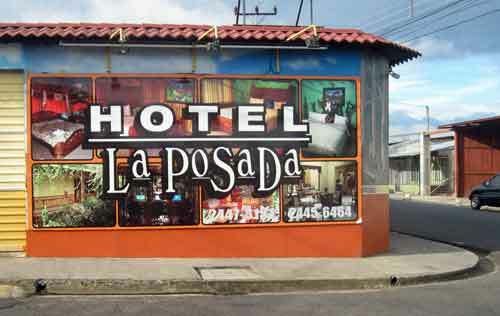 I would highly recommend your tour to anyone who has a serious interest in living in Costa Rica, or anyone who just wants a better understanding of local culture. We are somewhat late in sending you this note of appreciation for the tours you recently conducted in the San Ramon/Atenas area. We are just now recovered from our wide-ranging tour of Costa Rica. We enjoyed the customized agendas on both days, which we surely would not have gotten from any packaged tours. It was generous of you to share your private residence , as well as pointing out key points of interest such as the super-mercado, the clinic, the cultural center and the bus terminal. We also appreciate the effort you made to introduce us to some residents of Atenas. Our stops at the “hacienda” of Larry, the artist, and the beautiful Bali style house of John were memorable. The side trip to Palmares to see the iguanas was great fun, especially your efforts to engage the local Ticos in the hunt. In short, your two half-day tours of San Ramon and Atenas provided a more informative overview of these two attractive towns than we might have gotten on a packaged tour, and certainly more than we would have gotten on our own.